The kidneys are fist-size organs that handle the body’s fluid and chemical levels. Most people have two kidneys, one on each side of the spine behind the liver, stomach, pancreas and intestines. Healthy kidneys clean waste from the blood and remove it in the urine. They control the levels of sodium, potassium and calcium in the blood. 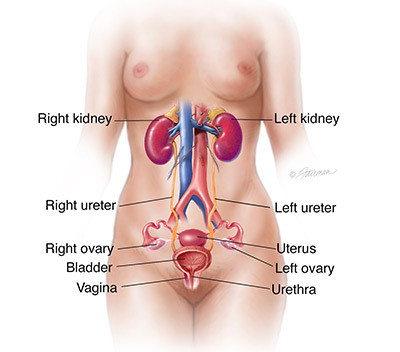 The kidneys, ureters and bladder are part of your urinary tract. 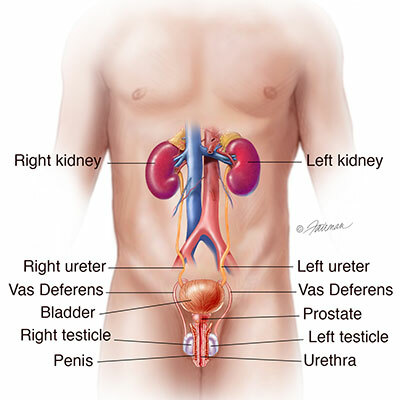 The urinary tract makes, transports, and stores urine in the body. The kidneys make urine from water and your body’s waste. The urine then travels down the ureters into the bladder, where it is stored. Urine leaves your body through the urethra.